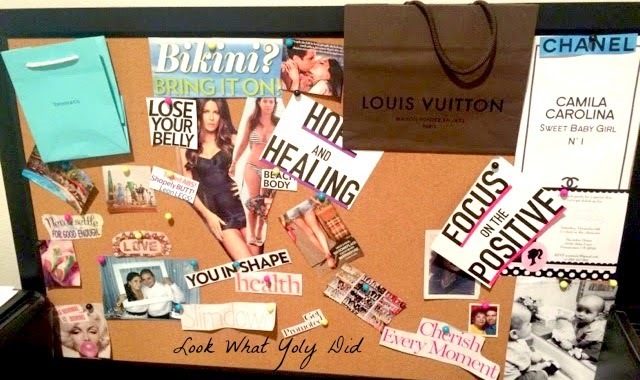 A vision board is a collage of pictures, phrases, words or items that represent you and your goals. 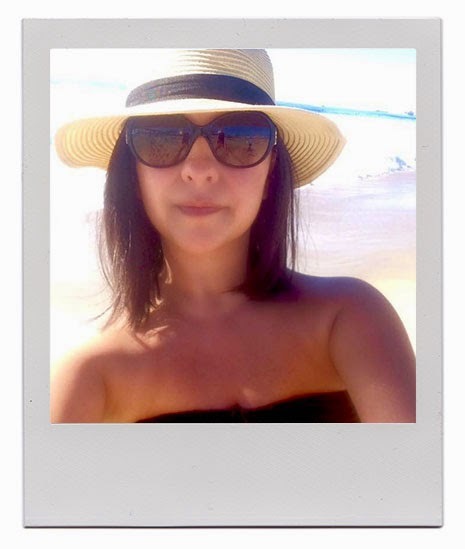 I have been making collages since I was a teenager. I once covered my entire bedroom wall with pictures of all the celebrities I had crushes on...Enrique Iglesias (duh), New Kids on the Block, Marky Mark, Ricky Martin. My mom was not very happy, but I thought I was SO cool! 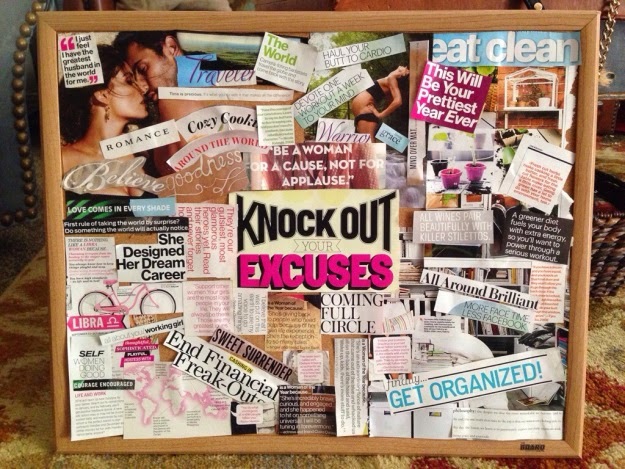 So a vision board is pretty much just a collage, but of things you want. 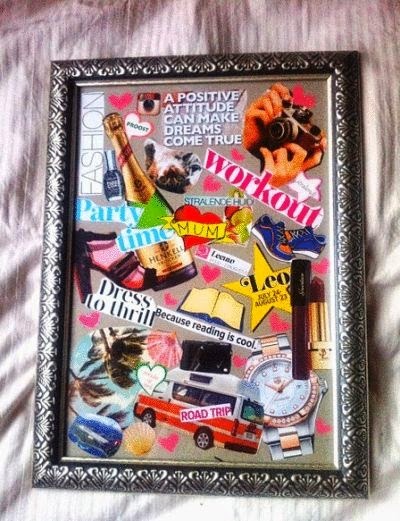 So now...go get some wine, turn on your favorite Pandora station and start working on your vision board. 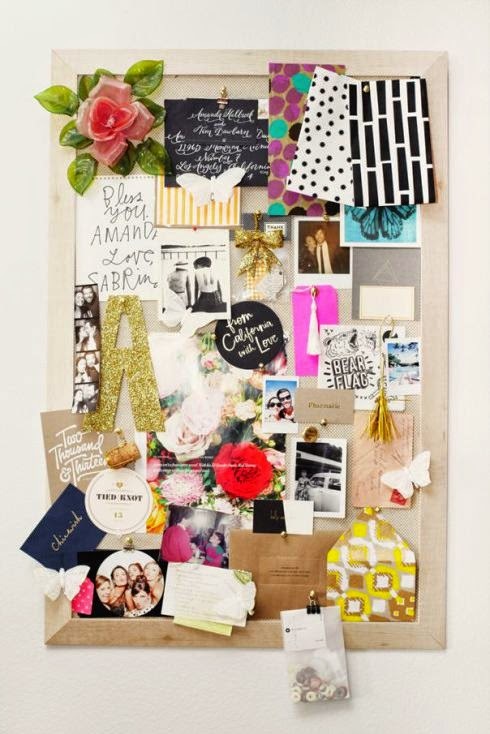 I would love to see pictures and hear what you put on your vision board. 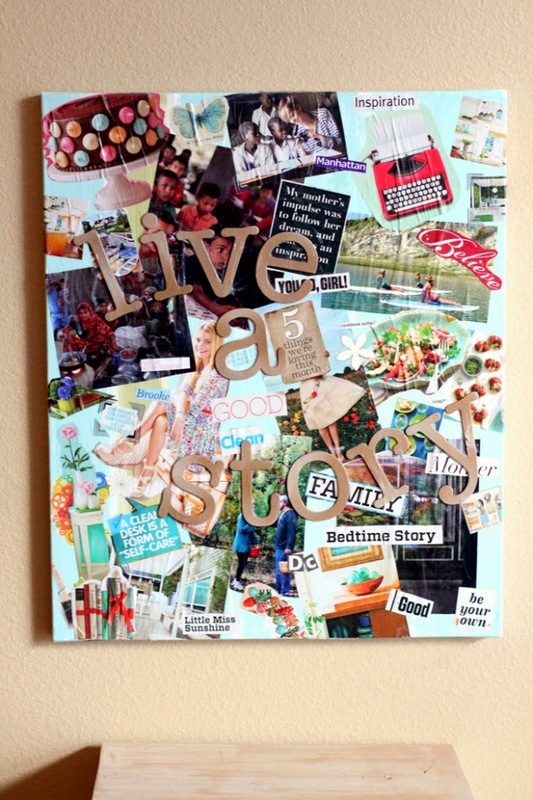 Actually, this post has inspired me to have a vision board party. Can't wait to show you all pictures!